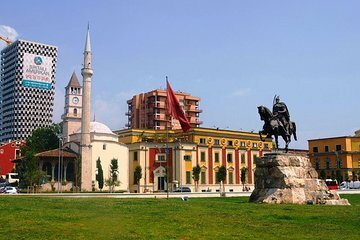 Explore Albania at your own pace on this 5-day Albania highlights tour from Tirana. Take the ancient Via Egnatia to Apollonia and learn of Albania’s rich Roman heritage. Gaze over the Ionian Sea from the Albanian Riviera, and discover UNESCO–listed treasures in Butrint and Gjirokastër. Take in top Berat attractions including Berat Castle. Discover Roman architecture in 7th-century Durrës and enjoy a sightseeing tour of Tirana. With an itinerary to follow and a driver to get you around, enjoy the freedom to explore in your own way.